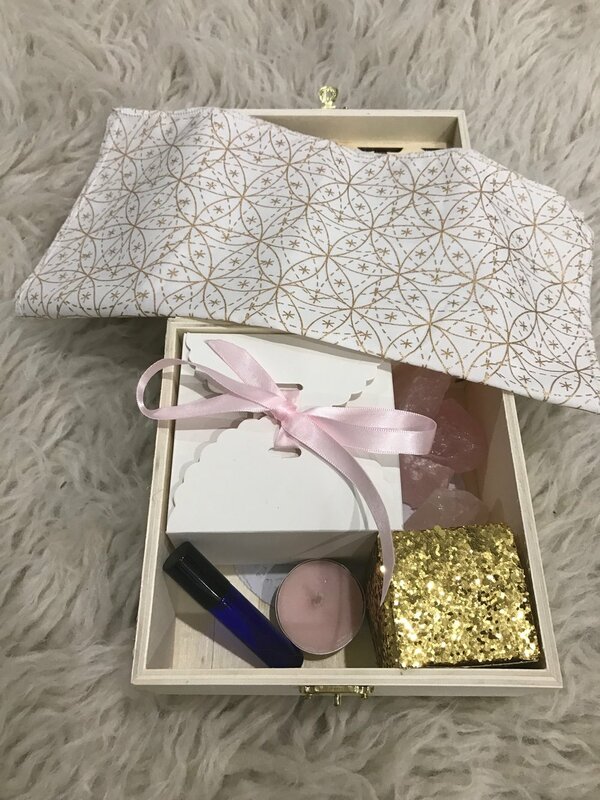 These beautiful Crystal Grid Kits are available in the shop, but there wasn't nearly enough room in that section to show you the beauty of what lays inside these beautiful boxes. So I have presented them here for your viewing pleasure!! Citrine is the merchant stone. It opens the flow of abundance in all ways into your life - so allow it to shower you and give it gratitude when your new wealth arrives. 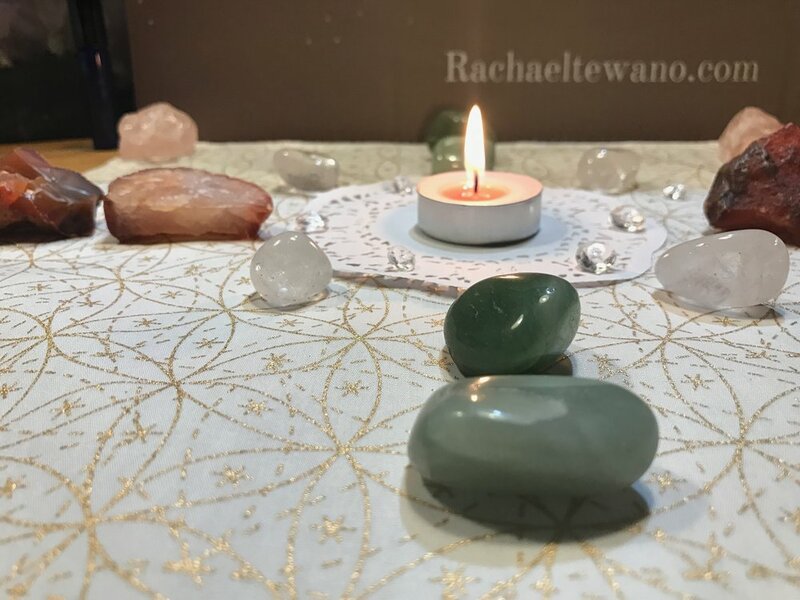 Clear Quartz within your grid amplifies the other crystals power. It holds power and connection in its own right. Allow it to lead you in connection with your spirit. Oh the Love!! All We Need is LOVE! 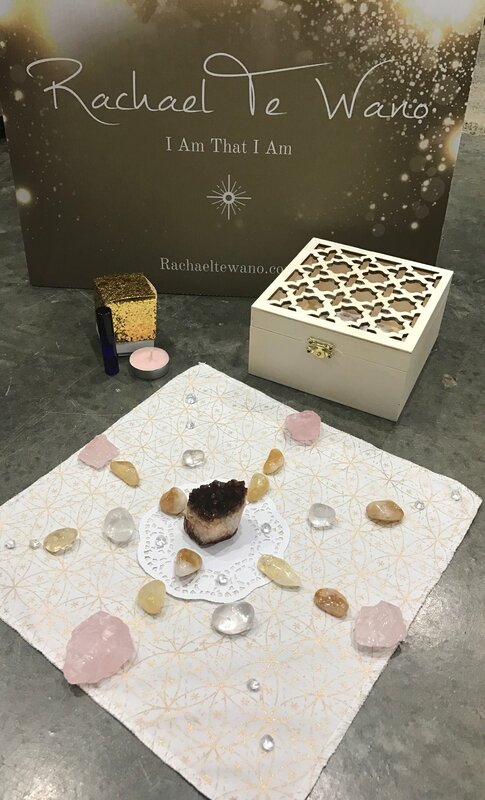 I choose to include rose quartz within every grid I place. As when we add love, the outcome is for our highest good. A Ray of Sunshine on a winter's day. It stimulates creativity, motivation and passion. It is also good for balancing your hormones and alleviating depression. New Growth, New Healing, New Possibilities. This will move stagnant energy and transform it into vitality and joy. Ahhhh! How I love Selenite! A powerful stone that can decalcify the 3rd eye. A crystal that never needs cleansing and will cleanse the other crystals in your kit. I like to meditate with my selenite as it brings a calmness to my mind. I am excited for your journey with your new piece.